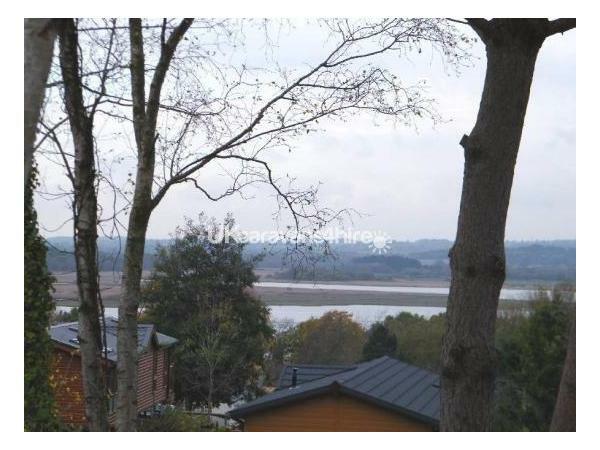 Additional Info: Beautiful 3 bedroom Platinum rated lodge views to the lakes great sunsets, an ideal family retreat. 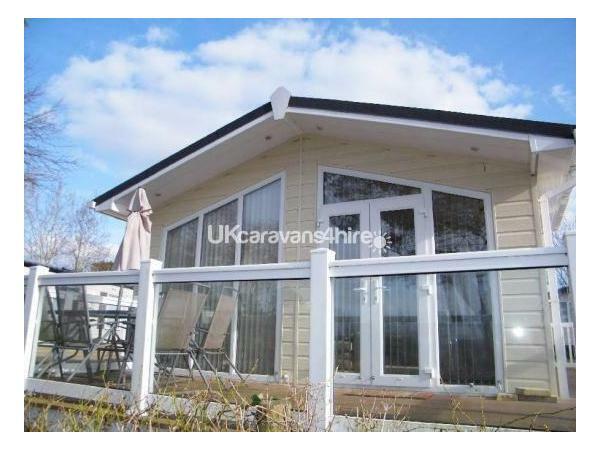 This stunning lodge, Monaco Duo, 40 foot by 16 foot, 3 bedrooms with extended glass balcony overlooks the water with magnificent sunsets, an ideal family retreat. Features within the lodge include: TV in all bedrooms; 40" TV & DVD with freeview in the living area; Free standing furniture; Dishwasher & washing machine/dryer in the kitchen; Island in the middle of the kitchen, family shower room and en-suite to the master. 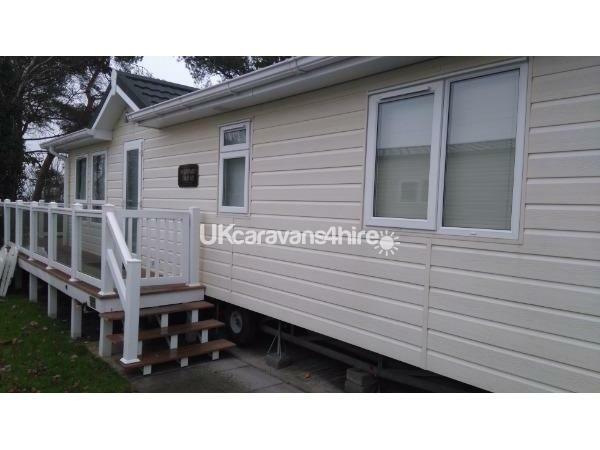 The lodge is a spacious 3 bedroom in the most desirable location of Rockley Park, Poole, Dorset. It has own parking bay directly outside lodge. This lodge will make an excellent family retreat. The French doors to the front of the lodge take you onto a wide safe glass veranda with outside furniture to relax overlooking the water. You are a few minutes (flat walk) away from main complex; the beach is sheltered and sandy – less than a 10 minute walk. 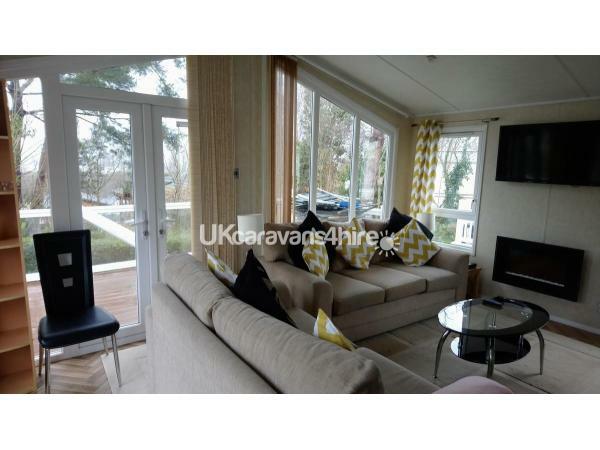 If you are looking for that luxurious holiday, you will find this in the central heating and double glazed lodge. This has lots of home to home features it has a wonderfully welcoming ambience as soon as you step inside. 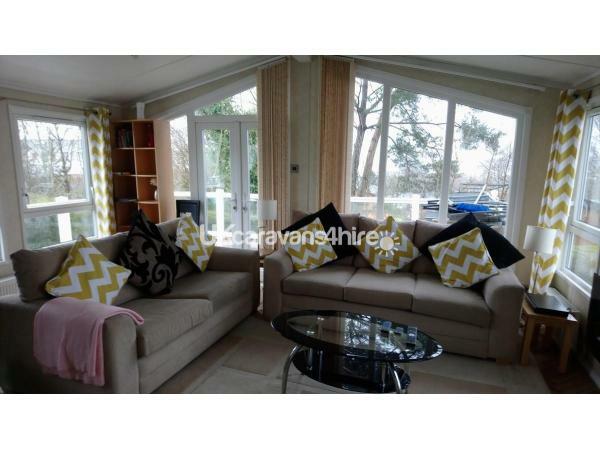 The space has been divided into two parts with living room, kitchen and dining area all open plan. 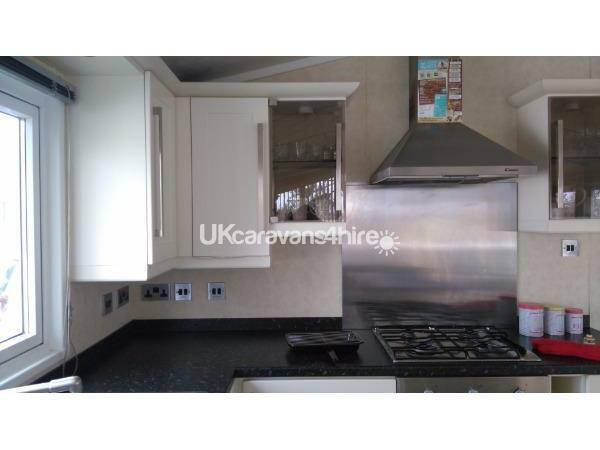 This has an open plan kitchen with an island in the middle separating dining area. The kitchen is fully equippedbwith everything you find in your own home. 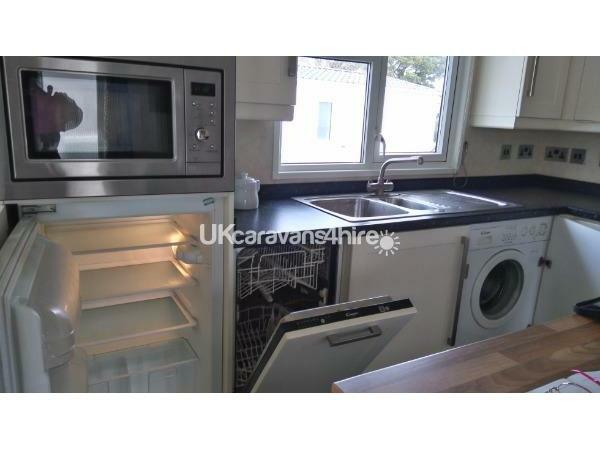 There is a washing machine, dish washer, separate fridge and freezer. The dining table with 6 black leather dining chairs. 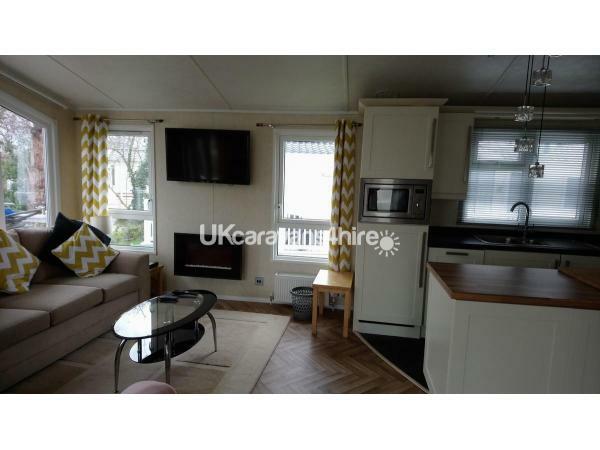 This is open plan giving you lots of space and added benefit from a lodge, gaining the extra width making it feel more like a home. Master Bedroom: The master bedroom has large wardrobes and drawers, plus an en-suite with shower, toilet and wash basin. 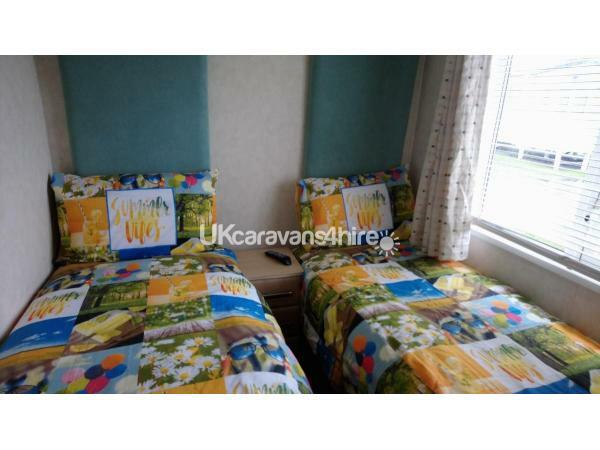 Twin Bedrooms: The second bedroom has a full length double wardrobe with full sized single beds. 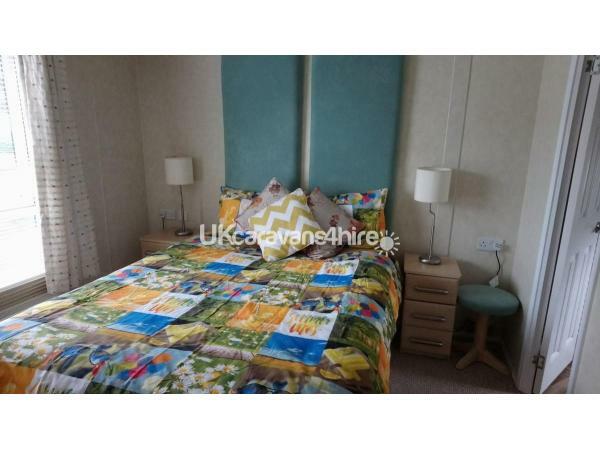 The third bedroom has full length single wardrobe with dressing table and stool, along with full sized single beds. 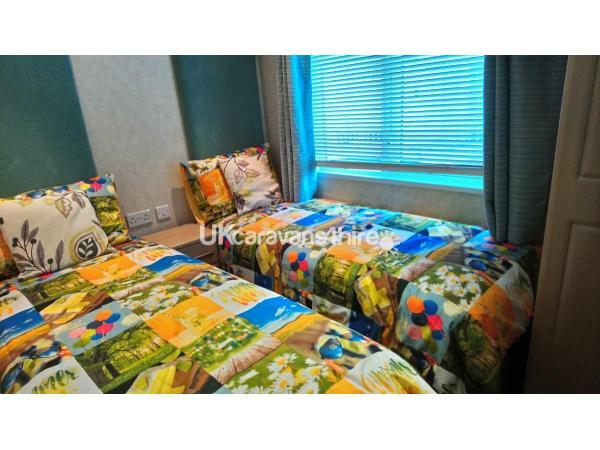 The four single size beds are suitable for adults to sleep on and have the extra comfort. FunWorks passes are not included, they are required for the entertainment complex and swimming area. You will need to have the passes to gain entrance for the restaurant. Bed linen is included and beds made prior to your arrival. Additional Info: FunWorks Passes and Activity Passes are not included in the price. There is a lake - fishing license will be required.